Home » Uncategorized » Another great week, more great walks! Another great week, more great walks! This last week was filled with sunshine, but heavy sea swells prevented our weekly sailing to Capri. Nevertheless, this weeks team had a great time and broke new ground with a walk to Minori and time spent exploring Ravello. All team members visited the fantastic ruins at Pompeii or Herculaneum, and many of them ascended Vesuvius. 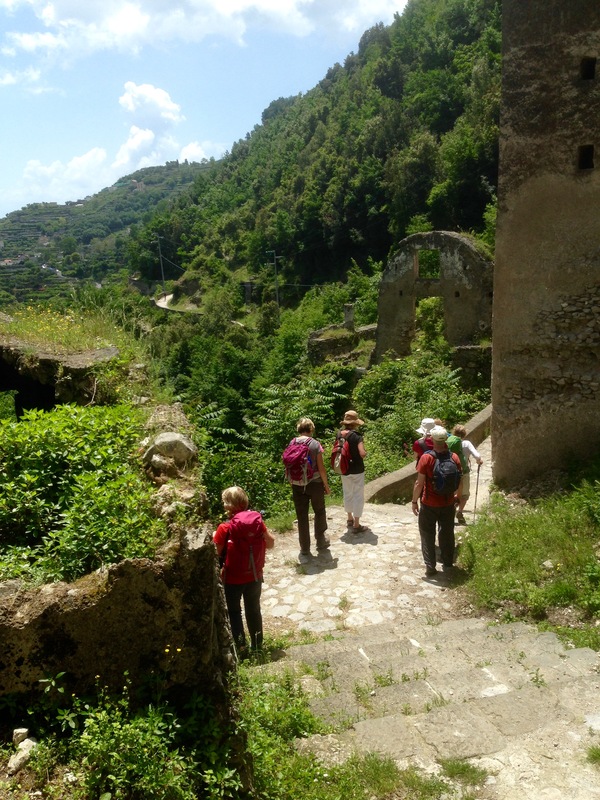 Seven intrepid trekkers reached the far side of the Valle de Ferrierre National Reserve, described as “One of the best walks I’ve ever done” by Libby G.
Mountain Experience hope to work with you all again in the future. By Mountain Experience in Uncategorized on 28/05/2016 .